NJOI customers can purchase access to the PyeongChang 2018 Winter Olympic Games channels via NJOI prepaid for a token price of RM5. 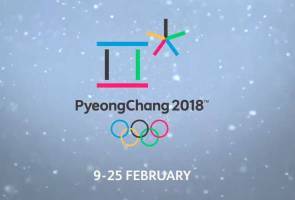 ASTRO is broadcasting the PyeongChang 2018 Winter Olympic Games on two dedicated channels in HD (CH823/CH 824) and SD (CH 821/CH 822), and on Astro GO from February 9 to 25. Astro Sports Pack customers will have access to the two dedicated channels for this year's Olympic Games on Astro TV and Astro GO. The Opening Ceremony will be on February 9 at 7 pm (Malaysia Time). Malaysian athletes Julian Yee and Jeffrey Webb will be competing in the Figure Skating and Alpine Skiing on February 16 and 18.